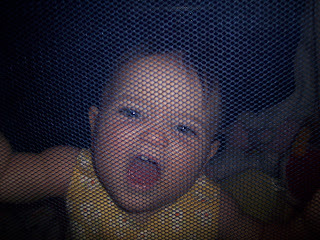 That baby looks like she is caged for a reason! Cute picture - what a little darling your baby is! Where is the other? I love it! look at them teeth!